On May 9th in Turkey, POSCO had an official contract of MOU with CIMTAS STEEL for the supply of 35,000 tons of thick plates for towers on the Çanakkale 1915 project. 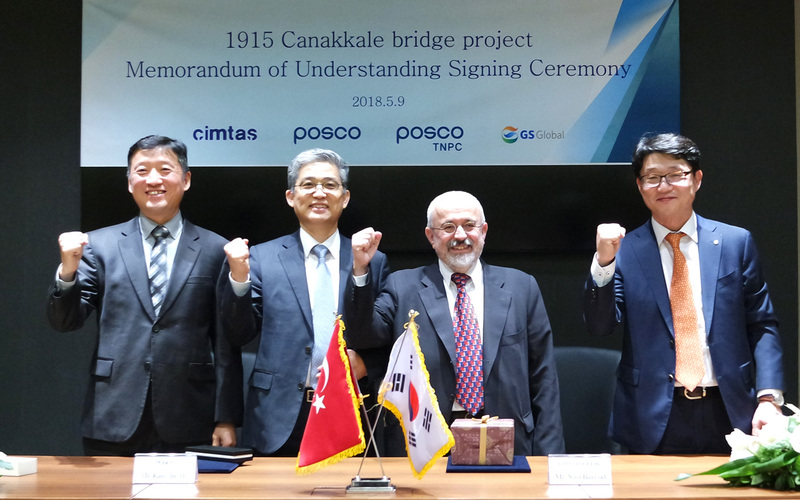 POSCO finalized the contract with CIMTAS STEEL, the biggest steelmaker in Turkey, to supply 35,000 tons of steel plates as tower material of the Çanakkale 1915 Bridge. 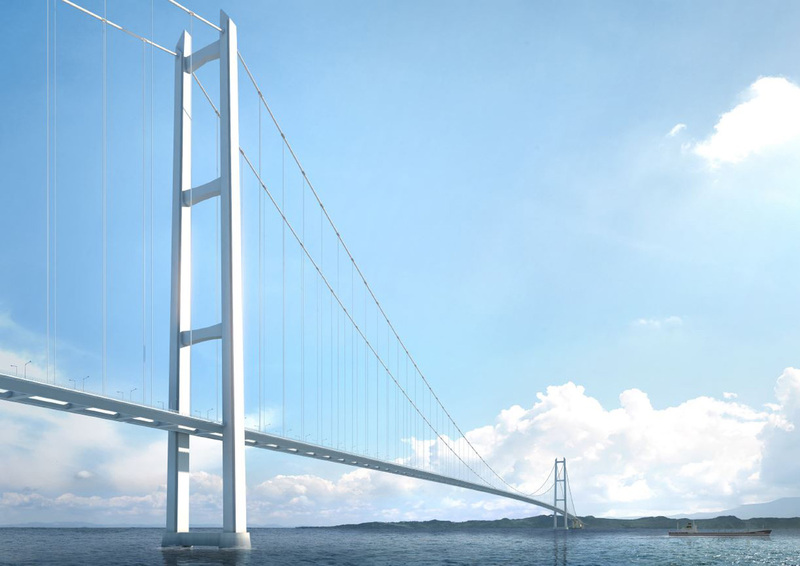 Çanakkale 1915 Bridge will be constructed at the western end of the Sea of Marmara connecting Gelibolu and Lapseki in Çanakkale province. The construction will be finalized by 2023 to celebrate the 100th anniversary of Republic of Turkey. What makes the bridge special is the distance between the towers of the bridge. Currently, the longest span is the Akashi-Kaikyo Bridge in Kobe which is 1,991m in distance between the towers. However, Çanakkale 1915 Bridge is ready to break the record as the constructed bridge span is 2,023m. With POSCO’s wide range of solutions that can save the time of welding process, construction period and adopting solution that can supply special steel plate which is more than 100mm thick will be provided for the project. Also, POSCO’s advanced transport and storage solution will ensure a safe and sound supply. In the MOU, POSCO and CIMTAS has agreed to establish global partnership by sharing advanced steel product, solutions and projects. Besides, POSCO is also preparing to introduce the solutions for the wire rods for cable, thick plates for deck that support the road. POSCO expects that these efforts will bring positive impact on global status of POSCO such as strengthening relationship with global companies or identifiying of new business. Never Seen Before! POSCO Awarded as ‘Top Company’ 8 Years In A Row!